Bring your voice and creativity. Or your instrument! Join POV for our final community event of the year. We invite you to come together and process the #MeToo movement and the watershed moment we’re facing, in community. For 46 years, POV has been creating spaces for people to safely and bravely share their experiences, seek help and heal. 2017 has been a year full of challenges and powerful transformation for many of us and we want to end the year in community with a special gathering at our POV Metro Headquarters. 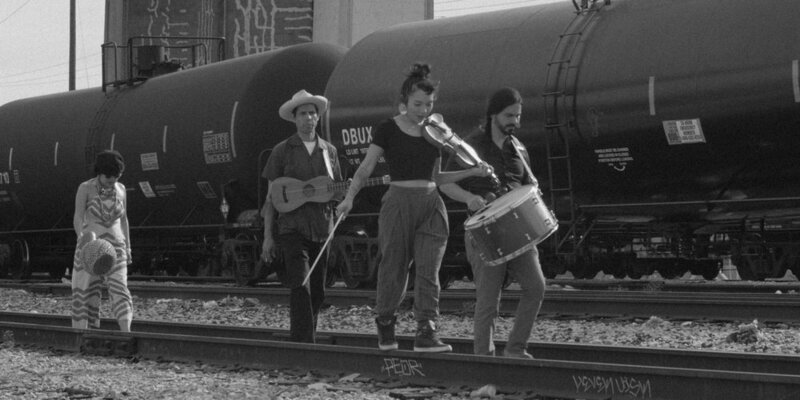 This evening will feature an interactive collective songwriting workshop, facilitated by Grammy® Award-winning musicians and artivistas Dr. Martha Gonzalez and Quetzal Flores from the East LA Chican@ rock group, Quetzal. Martha & Quetzal are longtime community organizers and "Artivistas" - performing as a way to create community and to take a stand against social inequity. The #MeToo movement has amplified the voices of survivors and their experiences of sexual harassment, sexual and intimate violence. We are witnessing the uproar of empowered voices online and offline, publicly and confidentially and POV would like to invite you to join us on Tuesday, December 19th at 6pm as we come together, united. Join the conversation. Come and share our vision of a world without violence. The time is now.